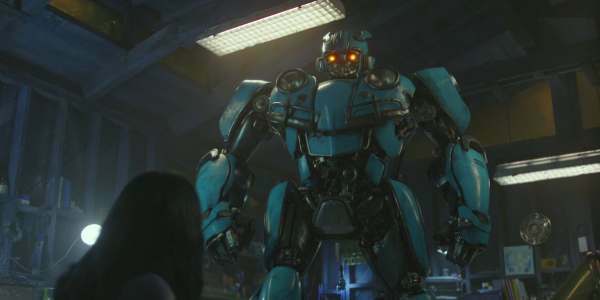 The first trailer and poster for the Transformers spin-off "Bumblebee" is online. It looks...pretty good actually. The trailer opens with the words of Bobby Bolivia, played by the late Bernie Mac. "Drivers don't pick their cars ... The cars pick their drivers," Bobby says. "It's a mystical bond between man and machine." Here's the teaser for "Bumblebee"
Here's the first soulful poster for "Bumblebee: The Movie" with the tagline "every adventure has a beginning"
It's interesting that the first Transformers movie was about a "boy and his car" and this movie flips it to a "girl and her car". Considering the women of the Transformers movies like Megan Fox were relegated to "cheesecake" in tight shorts it's a refreshing change. After being assaulted by one explosion-fest after another in the Transformers franchise this looks like a welcome break. 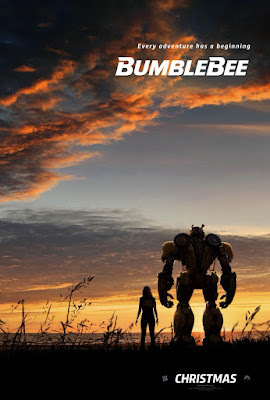 Official synopsis: "On the run in the year 1987, Bumblebee finds refuge in a junkyard in a small Californian beach town. Charlie, on the cusp of turning 18 and trying to find her place in the world, discovers Bumblebee, battle-scarred and broken." Check back with the Geek Twins for more Bumblebee movie news and hype! What do you think of the trailer and poster?